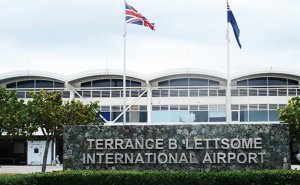 The Government of the Virgin Islands is pleased to announce that, following a lengthy procurement process and very careful consideration between the 2 remaining bidders for the runway extension project of the T.B. Lettsome International Airport: China Communications Construction Company (CCCC) and IDL/McAlpine Consortium; that CCCC was selected as the preferred Bidder for the project. Negotiations will now get underway with the preferred Bidder with a view to concluding a contractual agreement within 3 months which delivers the right outcome for the people of this Territory. It has always been, and remains, the Government’s overriding objective to ensure a significant local involvement in the project. The government sees this as critical and thus it will figure heavily in the negotiations. The runway extension project became vital once American Eagle left Puerto Rico and took with it, the main access link from Mainland USA to the Territory. At the height of the Eagle’s operations, up to as many as 12 flights per day operated between Puerto Rico and the Territory giving excellent and seamless access from the mainland USA and the rest of the world for most of the over 393,000 overnight visitors to our shores. Extension of the runway at the T.B. 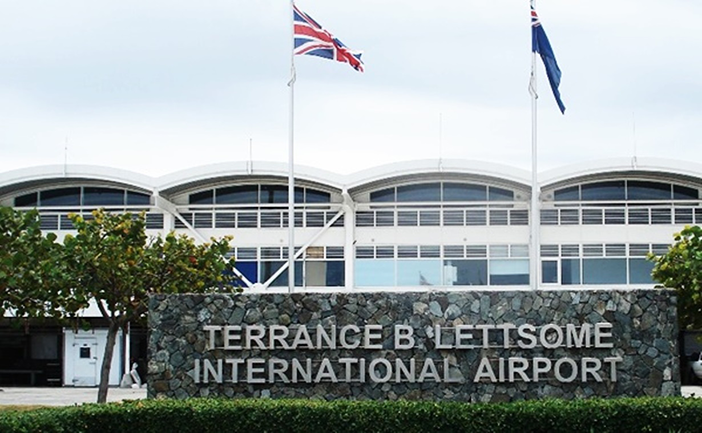 Lettsome International Airport is fundamentally about the future of the Territory, given that our industries, Tourism and Financial Services, depend on having easy, reliable and affordable access to our global markets. This is of utmost importance if the BVI is to remain globally competitive. Extension of the runway from 4645 feet to about 7100 feet will allow current airline fleets (737-800 and Airbus 320) to fly directly to and from continental US and Latin America. At present, established US airlines all cite the inability of their existing fleets to operate from the BVI due to runway length. In addition passenger surveys indicate that travellers do not like to make more than one connection to get to their destination. BVI hotels and other service providers are therefore losing their competitive edge due to visitor access to the Territory. In welcoming this development Premier and Minister of Finance Dr. the Honourable D. Orlando Smith OBE stated that it is Government’s responsibility to ensure that an adequate infrastructure is in place to support and grow our industries and ensure that our economy is able to produce the revenue streams required to ensure the quality of life the people of the BVI have become accustomed. “Without the extension to the runway, new initiatives like our health tourism, the new BVI International Arbitration Centre and attracting new investors in tourism and financial services cannot succeed in providing additional revenue, jobs and business opportunities. Tourism can only be competitive if tourists can access the BVI easily. It is currently very inconvenient and expensive to visit the BVI,” he said. The successful delivery of the project will also enable BVI’s main international airport to accommodate regional and international traffic from a wider range of destinations, which will act as a catalyst for the further development of the economy, and will enable future borrowings where needed for important social infrastructural developments. The Government of the Virgin Islands remains committed to advancing the development of the Territory.